The first time I experienced Kérastase was 3 months ago. I was impressed with the results and since then, I have been using the Chronologiste series. 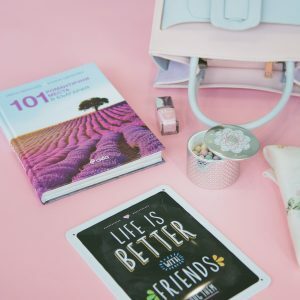 Until I discovered the series that feels even more appropriate for my needs and still extremely indulgent – Aura Botanica. Kérastase has infused luxury with pioneering science since 1964. It became famous for its enhanced cleansing, known as “bain” and personalized solutions. 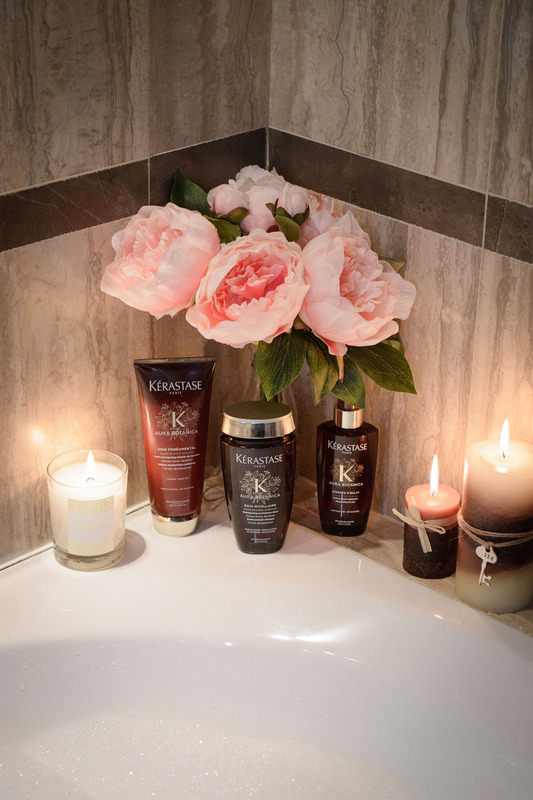 Advanced technology, vast research, innovation and luxurious feeling are at the heart of Kérastase’s products. However, in 2017 the brand makes yet another innovation – Aura Botanica. I was surprised to learn that never has ever Kérastase used nature’s raw power before to create a refined experience. Aura Botanica is the first from the family to feature hand pressed Samoan coconut and argan oils. Formulas are composed from an average of 98% natural origin ingredients sourced from a responsible purchasing program. Hence, all formulas average 97% biodegradable. No Silicones. No Sulfates. No Parabens. All that without compromising on quality and pampering experience. Tested and confirmed. As a mother, what usually makes me prefer one product to another is exactly that “natural factor” meaning how natural and free from harmful ingredients it is. Imagine how much I saluted Aura Botanica when I experienced it for the first time in the salon. It’s the perfect mix of nature’s power, indulgent textures and a bespoke fragrance, enveloped in elegant packaging. What’s more, it enhances my lightly devitalized hair, leaving it with a healthy natural glow. 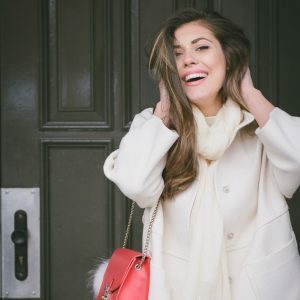 After going through the in-salon procedure and using the natural Aura Botanica at home, too, I can freely share some opinions and thoughts on all the 4 types of products. This gentle cleansing shampoo, naturally colored with caramel, is a unique alliance of natural origin surfactants. The latter transform into a luxurious lather to cleanse away impurities, while preparing the fibre for optimal conditioner penetration. In fact, a good tip my Kérastase professional gave me is to wash my hair twice with the bain. First time, to cleanse the impurities. Second time, to let the product do its job when it comes to nourishing. Eventually, the hair feels slightly firmer, but it’s all balanced by the conditioner and the lightweight mist. I usually am not a fan of conditioners. I prefer masques to them, as they are richer and have a more tangible effect on my hair. However, this product deserves my approval as it’s lighter than a masque, but definitely richer than a conditioner. So, it feels nourishing enough. It immediately melts into the hair, instantly facilitating detangling and improving hair quality. Shine and strength are more noticeable, and I really feel no need to use a masque. This is a multi-use 99% natural oil blend which nourishes and boosts cosmeticity for thicker or lightly sensitized hair. It is also as good for the skin as it is for the hair. While I was having the salon hair therapy done, my Kérastase specialist massaged my hands with CONCENTRE ESSENTIEL. It softened my hands so much that it even made my skin allergy to cold much, much less apparent. And the fragrance is so indulgent that it can work as a perfect body massage oil. This is a lightweight ultra-fine bi-phase mist, composed of 2 phases, which makes it essential to shake prior to spraying. The oil phase contains a unique alliance of coconut, argan, jojoba and avocado oil, while the aqueous phase contains Damascus Rose floral water. The product has a heat protection of up to 230°C, which is essential to me as I regularly use a flat iron to style my hair. 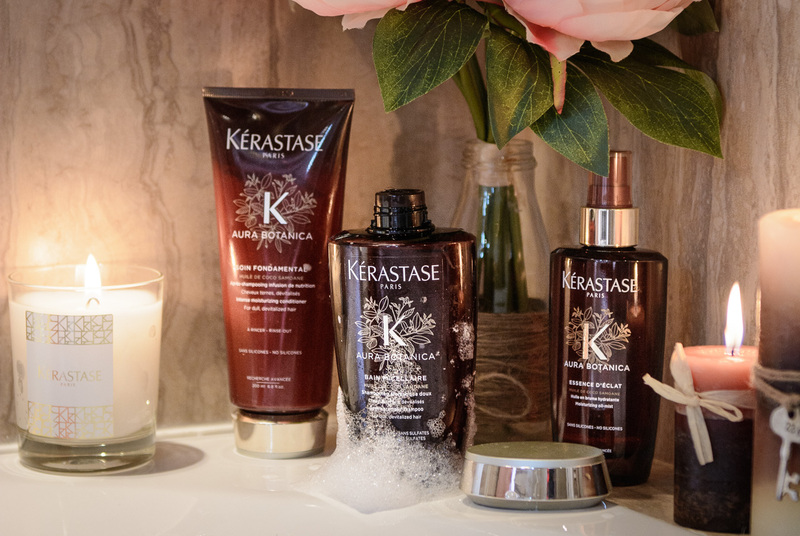 How do you feel about Kérastase’s new natural product line Aura Botanica? Would you give it a go? And what do you look for in a product when choosing yours? This is a fantastic range, whoch has been hugely npopular in our salon. Great for clients that want a more natural alternative. My personal fav is the oil.